Let’s just face the facts. There is something special about capital cities that sets them apart from other destinations. Des Moines, Iowa certainly fits in this category, as we quickly discovered. Our three days was enough to give us a chance to sample the flavors of this Midwestern city. Of course, we realize that we spent our time in just a few blocks of a city that spreads across five counties. With all we found to see and do in this portion, we can only imagine how many weeks it would take to do a more extensive study of the city. While our itineraries are always packed full of attractions, dining and shopping, we still try to leave some for exploring the sights and sounds of the destinations we visit. Since almost all of our time was spent in the East Village or downtown, we could usually count on having a view of the capitol building nearby. There were a few times that it was eclipsed by the skyscrapers that tower over the downtown. We picked a quiet Sunday morning to walk the grounds and check out the amazing sculptures and monuments. It was such a peaceful time that we were able to reflect on the reasons for each of the tributes. 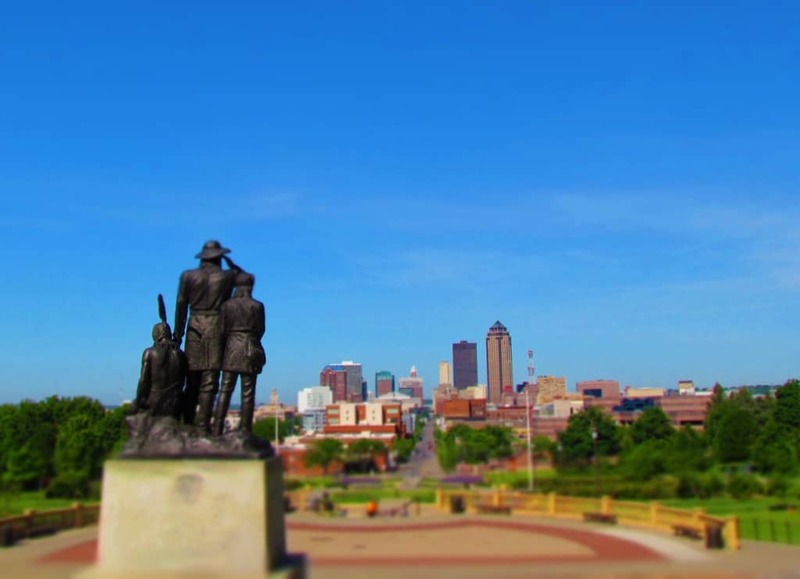 This area is definitely one you will want to visit during your next trip to Des Moines. The view of the cityscape is amazing from the foot of the capital. We lingered for a while, taking in the beauty of the skyline. It may have been our last morning in the city, but we knew we would be taking plenty of memories home with us. Nearby, we watched a family exploring the area and using it as an opportunity to educate their children on the local history. It was nice to see this interaction and we hope it instilled in the kids the desire to explore the world around them. Before our visit, I reached out to some Des Moines groups to seek their suggestions on sites for us to visit. 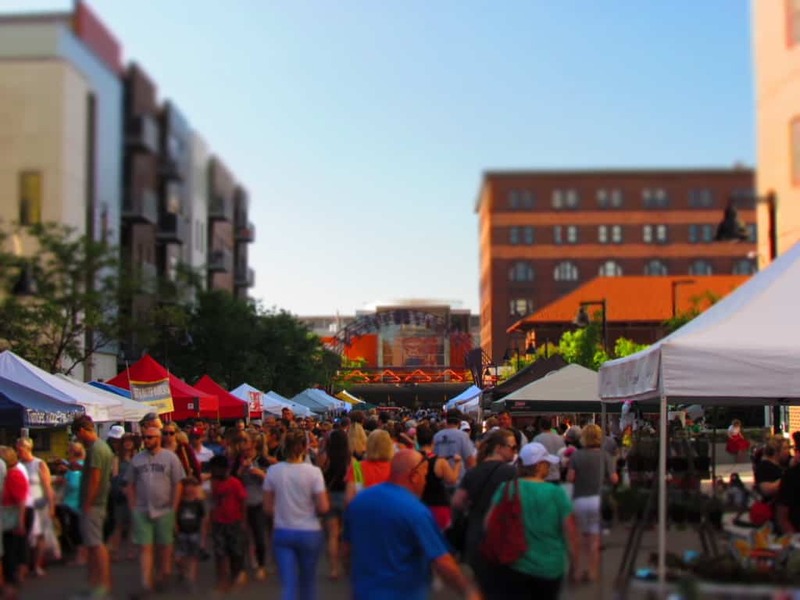 One that we heard mentioned more than any was the Downtown Farmer’s Market. When they described it we saw words like; huge, massive, biggest, and immense. We were hoping these weren’t just braggadocios statements designed to draw us in. Once we arrived, we quickly realized that these may have not truly expressed the true size of the event. With around 300 vendors, this weekly attraction draws in around 25,000 shoppers every Saturday during the summer months. The market covers nine city blocks with vendors selling just about everything under the sun. Wandering through the area is a photographers dream. Vivid colors grabbed our attention, drawing us into booths filled with all sorts of artistic creations. The morning sun played off the art glass, casting colorful shadows across tables. We felt like kids in a candy store and strained to see everything. It didn’t take long before we realized that we needed a plan, if we were to tackle this place in an orderly fashion. We decided that the best approach would be to focus our attention on one side of the street at a time, and work our way up and down the rows. It proved to be a solid plan and soon we were able to focus on one booth at a time. Periodically, we would come upon a musical performer that had captivated an audience. During our visit we saw a jazz band, made up of high school students, swaying the crowd in front of the Polk County Courthouse. This architectural masterpiece made a beautiful backdrop for their band. Further down the street a couple performed with some unique instruments. They even had a “musical petting zoo” of sorts, and invited kids and adults to join in. The atmosphere of the market was akin to a fair or carnival, and everyone seemed to be relishing in the fun. With so many baubles to be seen, we came to the conclusion that there was no real way we could possibly take it all in. The morning passed with plenty of caffeine, colors, and conversations. We stopped in a few booths and talked with the vendors about the Farmers Market experience, as a whole. It was apparent that this weekly event is known throughout the region and draws sellers and shoppers from miles around. With so many interesting pieces for sale, we couldn’t help but spread some of our tourism dollars around. We did notice that a majority of the booths focused on items that weren’t grown on a farm. Of course, there were some produce stands and plant growers peppered in the mix. We are guessing it was enough for those who came looking for these items. Periodically we would see someone pass us pulling a wagon laden down with the fixings for a great salad or items that would be added to their landscape. These booths added some nice green to the market. On Saturday afternoon we wandered the farthest distance from our hotel during our visit. 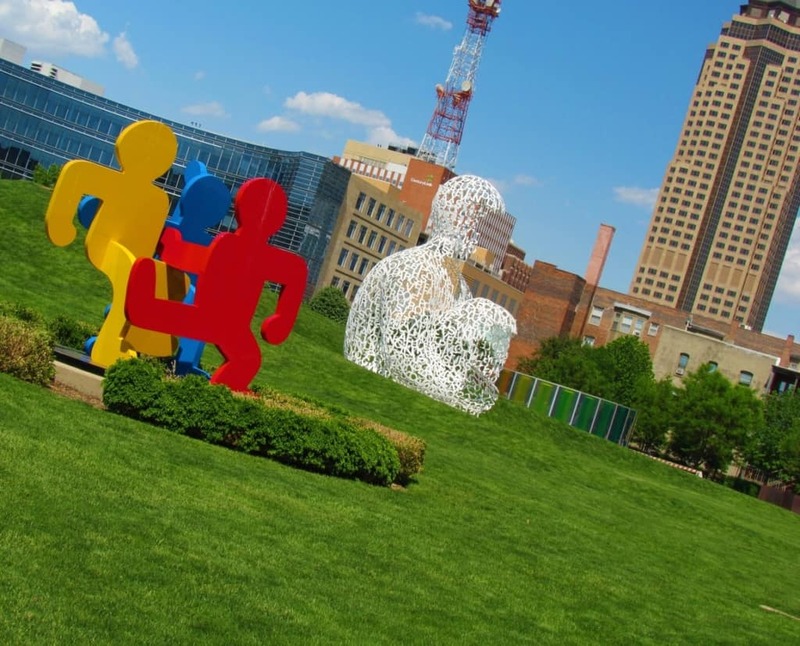 Our goal was to explore the Pappajohn Sculpture Garden located in this green space. The entire park covers around 13 acres with about a third of it being dedicated to the 28 sculptures. Heading to the park from the west (opposite of our lodging) makes it appear as a gateway to the downtown area of Des Moines. While climbing on the sculptures is not allowed (common sense) there is plenty of lawn for a picnic. We had made a stop at Black Cat Ice Cream before arriving, so our visit was purely for admiring the artwork. There is a nice variety to the pieces, since it comprises the work of 22 different artists. The park is open during daylight hours and is free to the public. A meandering walk leads around the grounds to allow visitors closer views at each of the pieces. As we made our way through the park, we tried to figure out what significance each of the pieces holds for the artist. Some are obviously playful expressions like the hare posing as The Thinker. Others seem to carry a more ominous undertone like the empty shroud. While the Des Moines Art Center does offer a tour of the sculpture garden, we chose to let our own imaginations fill in the blanks. Our timing to visit Western Gateway Park could not have been better. 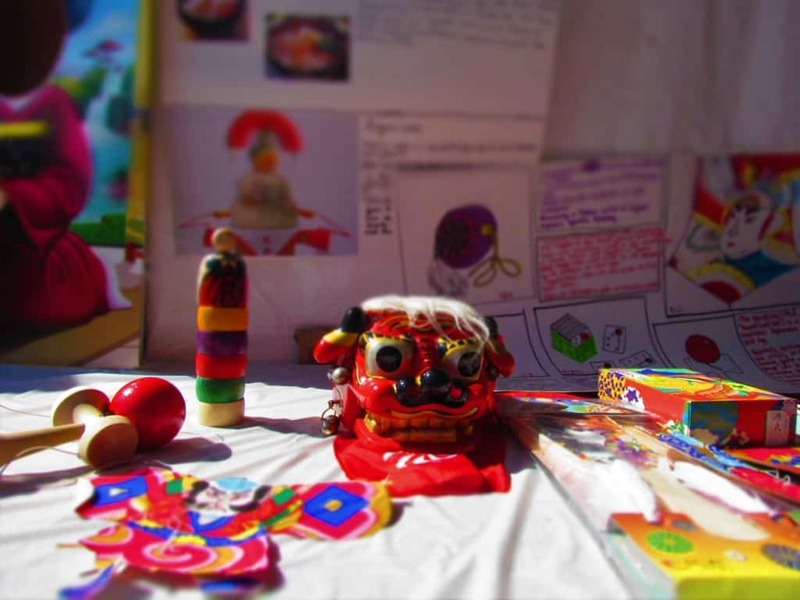 That weekend was the Des Moines CelebrAsian event that celebrates the culture of the Orient. With over a dozen different Asian villages, there is tons to see, hear, eat, and do. 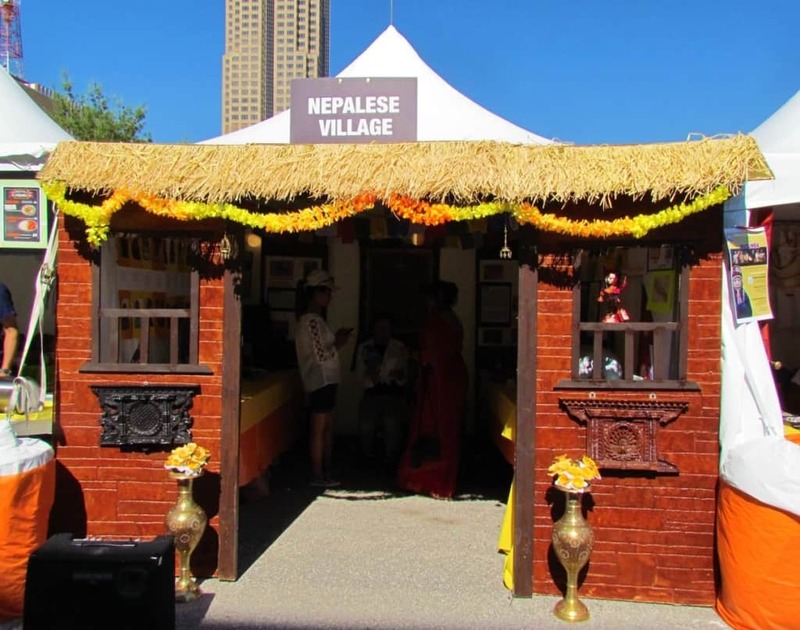 Each of the villages displayed items that are common to their culture. Most sold some food products, so visitors had the opportunity to sample a variety of cuisines. Much like the farmers market, this event offered lots of colors and textures, which make for plenty of lovely photos. Live music and entertainment took place on two separate stages. We watched a little of a Bollywood style dance exhibition, while resting in the shade of the tents set up nearby. The entire event had a relaxed pace, which was amplified by the hot summer day. On the smaller stage there were an assortment of martial arts demonstrations that were extremely popular with the crowd. As we explored the various villages, we noticed that almost all of them had items geared specifically for children. The CelebrAsian event is truly family friendly and even featured some children’s musical performances. We took a few minutes to watch the cosplay competition, before continuing our wandering. With hunger beginning to creep back in, we knew it was time to work our way toward another delicious Des Moines eatery. While we walked to our dinner location, we discussed how many interesting sights we had found in Des Moines. This city is filled with plenty to occupy a weekend or even longer. Our three days were certainly packed, and would make a four or five day itinerary for most travelers. With only about 10% of the city’s footprint covered, we know there are still loads of hidden gems just waiting to be discovered. 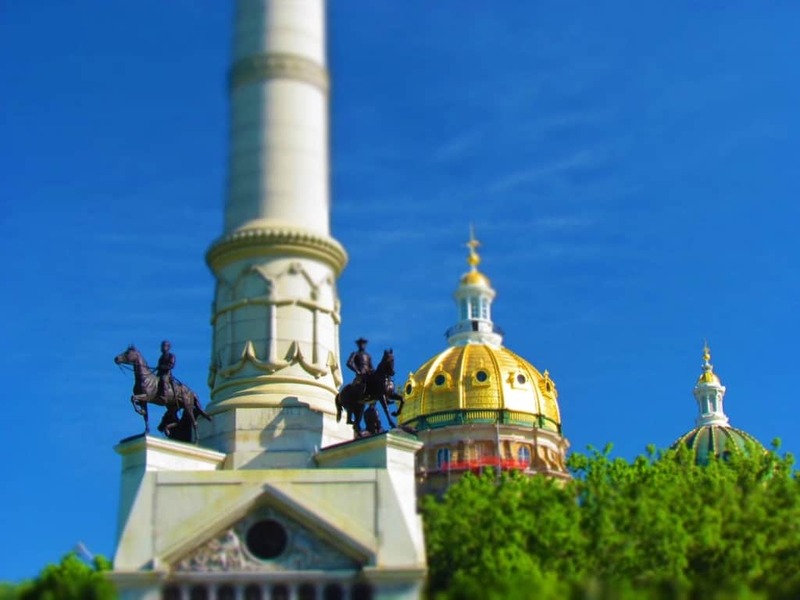 Why not make your plans to visit Des Moines and check out some of these sights firsthand. You might just uncover something we missed, and we hope you would share it with all of us in the comments section below. Remember, Sharing is Caring! Awesome representation of my home town, Jeff and Crystal! Great articles. So glad you enjoyed it. 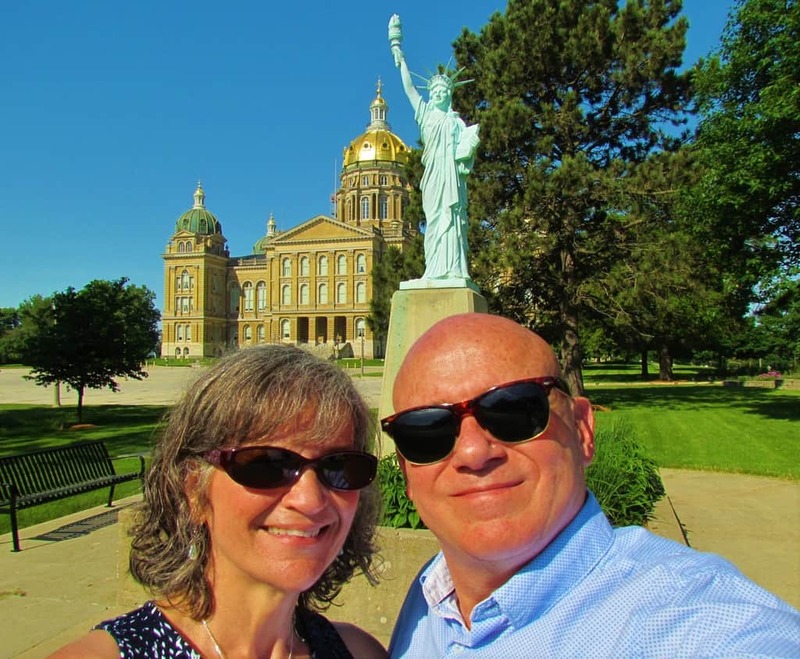 We loved our visit to Des Moines! 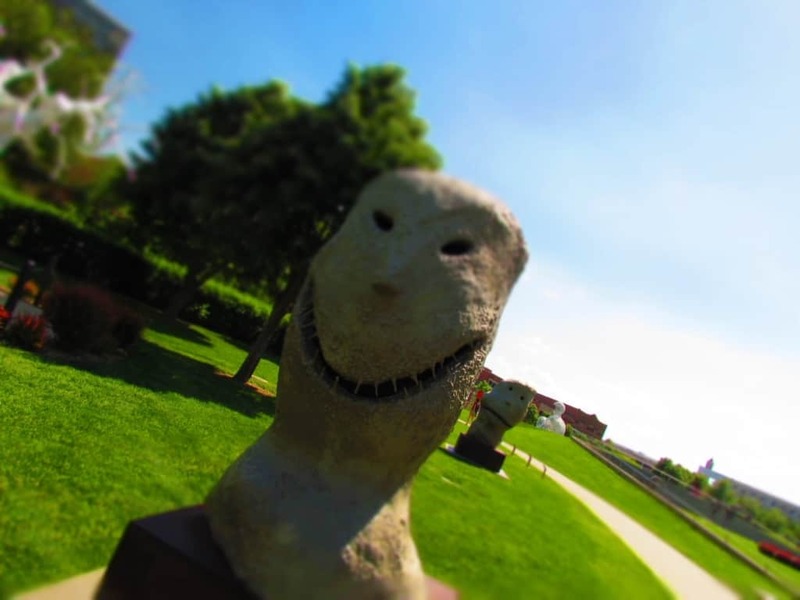 How fantastic that there is a global approach to foodie culture there and I love all the amazing modern art sculptures, who would expect that for Des Moines – wow~! We were quite pleased to find these items, as well. It shows that you never know what to expect, so keep exploring. Your timing certainly was incredible. I love how you used a selective focus on some of the shots. 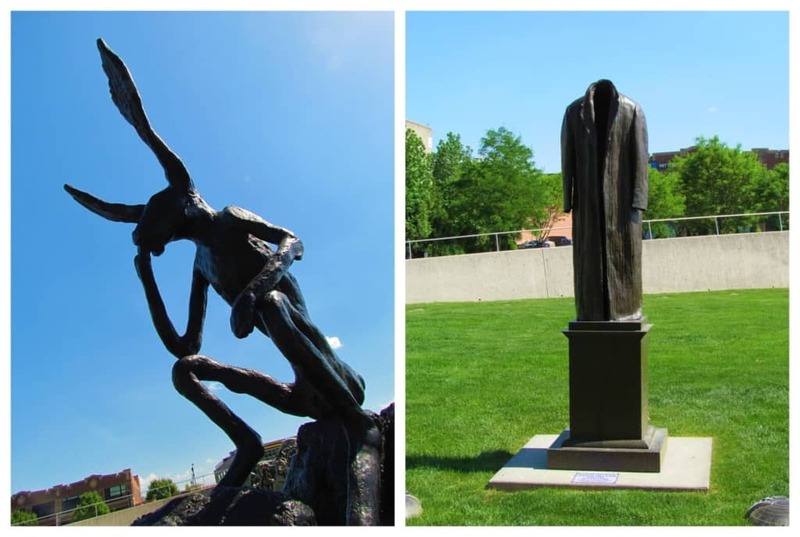 Several of the sculptures are familiar – I’ve seen similar by the same artists in DC and San Diego. Iowa and capitals are certainly special on days like you visited. Thanks for the comments. The selective focus is one of my favorite styles, especially for food pictures. 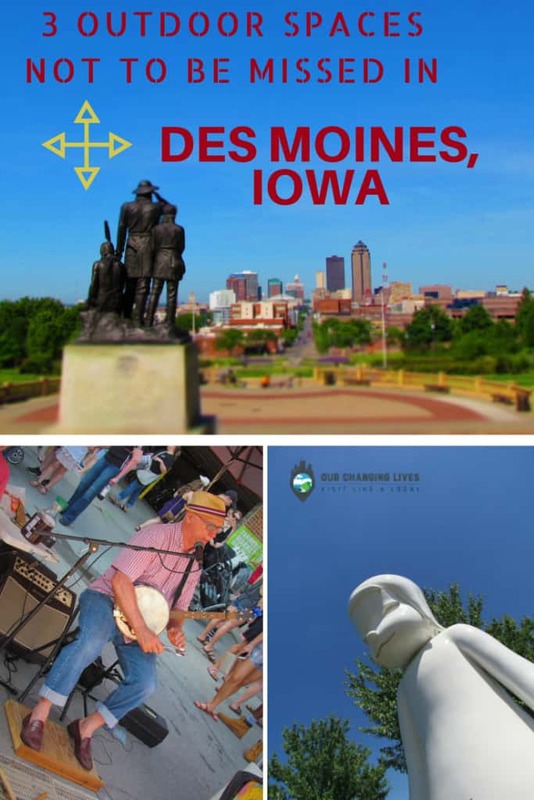 Thx for the terrific post about Des Moines. I’m sensing a pretty cool artsy vibe! Oh most definitely. It’s one of the best designed downtowns we have visited. Love that Western Gateway Park especially with that Asian celeb. I remember our 8 years of RVing! so much with your coverage of American towns and cities. We went to all such markets! It is fun to visit these special places. We do, too. It’s like an added bonus. Hope you get a chance to check out Des Moines for yourself!